Austin Walsh specializes in the disposition and acquisition of Single-Tenant Net-Leased properties throughout the United States. 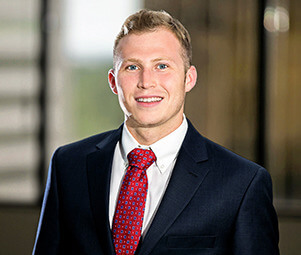 Austin focuses on QSR transactions, leading the Wendy’s brand at Matthews™ Retail Advisors. He utilizes his insight’s in real estate investment knowledge to create value for his clients in combination with his background in business. Austin and his team have successfully represented both institutional and private clients providing unparalleled service and market leading advisory by utilizing Silicon Valley Technology. His commitment to putting his client first and creating value assures him long lasting relationships throughout the industry and certainty of execution.